The NBA is where amazing happens. Yeah there's the great dunks and ridiculous passes but we're not talking about that. We mean amazing feats like 6-foot-8 200 lbs. stars squeezing into skinny jeans or the hipster wave that's taking over the league. 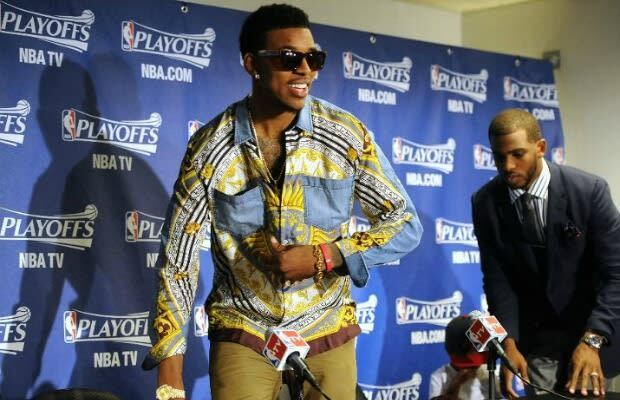 From Nick Young taking it back to the Puff Daddy & the Family days to Russell Westbrook channelling his inner Urkel, here are the 10 Craziest Outfits from the 2012 NBA Playoffs.